Unity Stamp Company: Uniquely Unity Sunday! Sunday is the day of the week after a busy Saturday BUT before a manic Monday. This very placement on the calendar makes it a unique day of the week for so many reasons. Sundays are my favorite day of the week. I have a little more time to maybe peruse the Unity website and blog, Unity Show & Tell on Facebook, etc., for more stamps (always MORE) but more importantly, stamping ideas to put our stamps to use and have more fun with them. 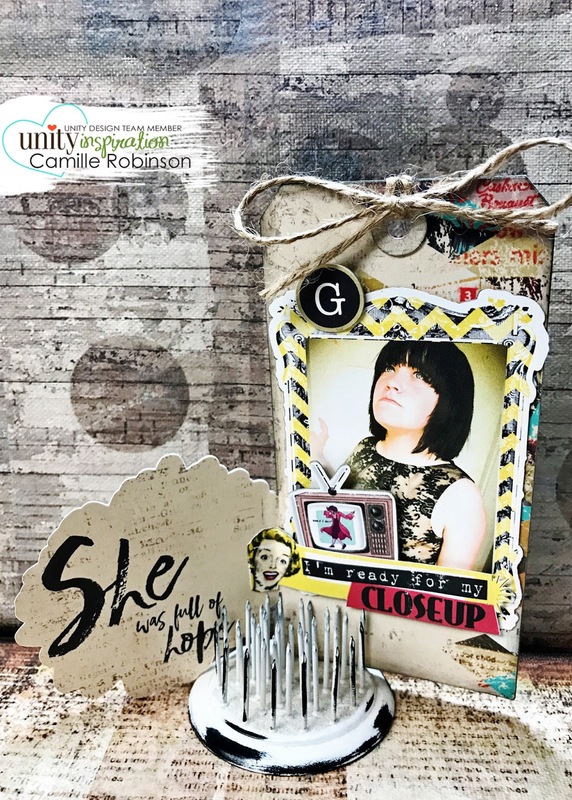 Today I’m sharing a chipboard photo tag card I made using Unity’s newest subscription, Uniquely Unity. You can learn more about the Uniquely Unity membership HERE. The above photo shows the front of the photo tag with the big daisy and lady from this month’s Uniquely Unity kit. That’s my youngest daughter, Gwen, who turned 14 last weekend, and in this picture, was posing in her 8th grade graduation dress on our front porch just before graduation. Looking back on it, she was still 13 in this photo. What a pose, too. She’s my dramatic one—into plays, musicals, art, and everything pretty in between. She really loves these things with her whole heart. I couldn’t help but stop and pay tribute to just that one moment on our porch, before graduation, before the dance, and later that weekend, before her birthday. Captured. Once you open the front, this is what the photo tag looks like on the inside. The sentiment on the left side of the card is from this month’s SMAK kit. I thought it just went perfectly with the photo and tied everything together nicely. I designed this chipboard photo tag card by grouping and welding the tag shape with the shape you see on the front (the offset of the stamped image) in my Silhouette Cameo’s software to create the tag card. Here’s a peek at this month’s Uniquely Unity kit in all of it’s glory. It’s beautiful! You want it! HEY! Don't forget to take full advantage of the sales at Unity Stamp Company today. You won’t regret it. Ever! 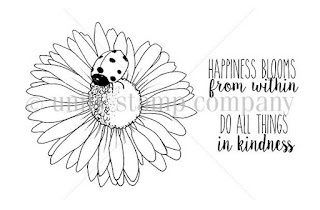 I hope you all have a great week—keep stamping!